The rules governing the approval of fire district budgets are now in line with state laws regarding approval of budgets for school districts and municipalities. Normally, Mt. Laurel voters interested in voting in the local fire district election would have had the chance to cast their ballot this past Saturday. However, holding fire district elections in February is now a thing of the past for Mt. Laurel Fire District No. 1. Previously, fire districts in New Jersey were required to hold their annual elections on the third Saturday of February, through which locals would vote on their district’s annual operating budget and any financial referendums of the ballot. Those elections would also allow voters to select candidates in any races for seats on their local board of fire commissioners. Yet now, per a state law passed in 2017, fire districts have the option this year of moving their annual elections from February to the general election in November. Mt. Laurel Fire District No. 1 is just one of several local districts making the switch. According to Mt. 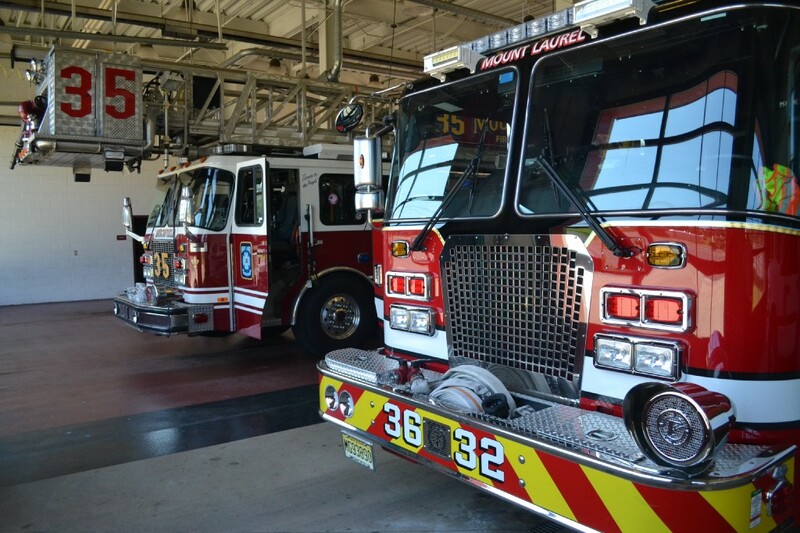 Laurel Fire Chief John Colucci, although voters have been “very supportive” of the district’s operations in the past, district officials hope the move to November will increase voter turnout. In past years, Colucci said February elections have traditionally only attracted a small percentage of Mt. Laurel’s voting population, despite the district’s best efforts to remind residents to vote. With the switch to November, the rules governing the approval of fire district budgets are now in line with state laws regarding approval of budgets for school districts and municipalities. With those rules, a board of fire commissioners can approve a district’s annual budget without getting approval directly from voters, so long as the budget does not exceed a 2 percent increase in the property tax levy from the previous year. This is the case with this year’s budget for Mt. Laurel Fire District No. 1. According to Colucci, the board adopted its 2019 budget at its meeting on Dec. 17, with budget appropriations set at about $11.2 million — up from the 2018 budget total of $10.53 million. The increase requires a tax levy increase of .85 cents per every $100 of assessed property value, increasing the overall fire district tax from 16.65 cents per every $100 of assessed property value to 17.5 cents per every $100 of assessed property value. The average Mt. Laurel homeowner with a property assessed at $237,600 would see an increase in their annual fire district tax rate of about $20.19. According to Colucci, the budget increase will support a staffing plan to hire additional firefighters. Colucci said that although most residents only associate the fire department with fire hazards, fire service has evolved. To view this year’s budget in full, visit the district’s website at www.mlfd.org.